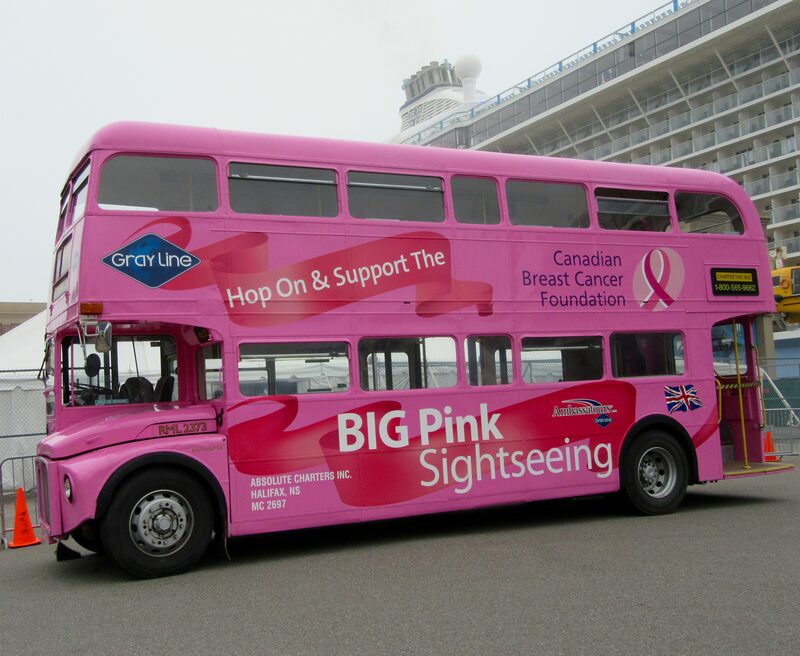 Big Pink Sightseeing is a line of Hop On/Hop Off Tour Buses that will not only delight you with many local sights and entertain you with their knowledgeable tour guides, but when you take a Big Pink Tour you will also be supporting Breast Cancer Research around the world. 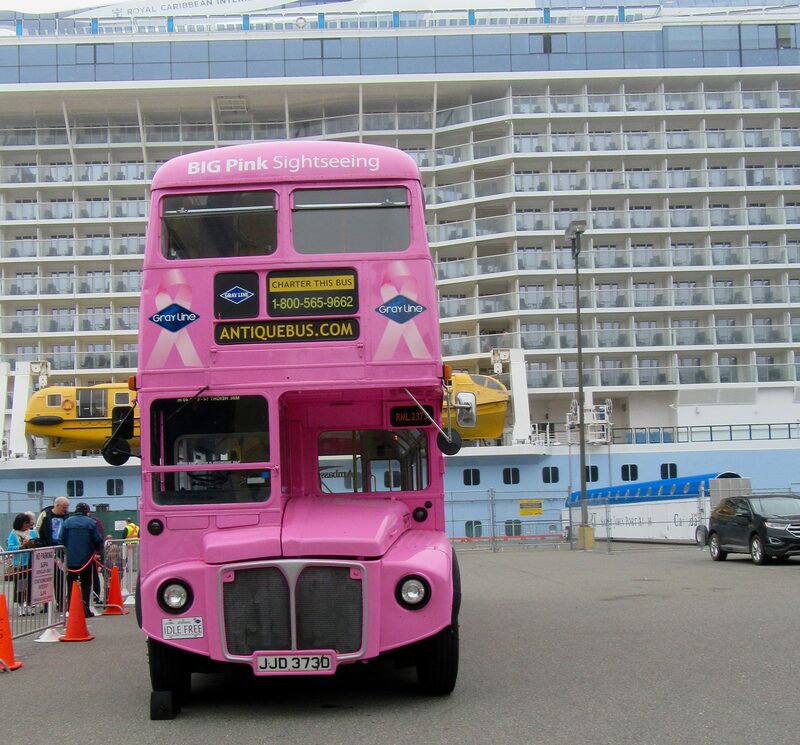 For every guest riding on these distinctively Pink Buses, a contribution to the local Breast Cancer Foundation will be made by the local tour operator. Photographed on a foggy day in the port of St John, New Brunswick, Canada, in front of a Royal Caribbean Cruise Ship!